For kids, summer is a time for schedule-free fun and leisure. But as summer vacation draws to a close, it’s time for everyone in the family to start preparing for a return to school night bedtime routines. Sleep is an essential component of maintaining a healthy lifestyle for people of all ages. By clocking a sufficient amount of shut-eye at night, you will be more likely to sail through your day in an alert and energized state. Getting enough sleep is especially important for children and teens, who need sleep to perform well in school. To help families prioritize healthy sleep, the National Healthy Sleep Awareness Project has created a calculator to help each member of the family identify an appropriate bedtime. Children 6 to 12 years old: 9-12 hours per night. To use the online bedtime calculator, simply choose your age and wake time. To see how a different wake time will affect when you should go to bed, choose a different wake time on the slider. 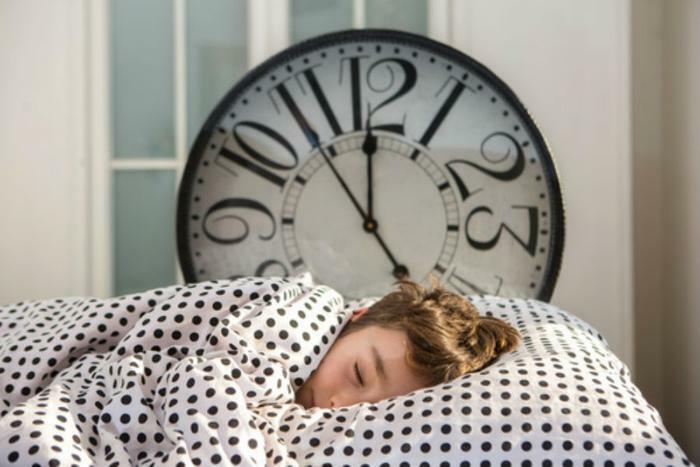 While it’s recommended that adults get seven or more hours of nightly sleep, many parents are used to having their slumber disrupted by children. In addition to letting you know precisely how sleep-deprived you are, the Lost Sleep Calculator will regale you with other interesting facts about your child-rearing journey. Parents can see, for instance, how many lullabies they have sung, how many diapers they have changed, and how many bedtime stories they have read.